Family law expert Lawrence Datz of Datz & Datz, P.A. 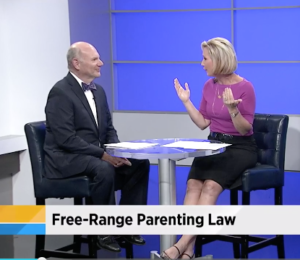 appeared on WJXT TV-4’s New4Jax Morning Show Monday, May 28 to discuss some of the national media coverage of Utah’s new free-range parenting laws as well as what Florida parents need to know about our state’s child neglect laws. Watch the entire interview here.